The Rev. Ds. Paul J. Visser, pastor of the Protestant Church in the Netherlands (Amsterdam) and chairman of the Foundation for the Promoting of Reformed Missiology and Ecumenics, delivered the following lecture at the 2008 Bavinck Conference: “Religion, Mission, and Kingdom: A Comparison of Herman Bavinck and Johan Herman Bavinck” (MP3). Visser’s lecture was published as “Religion, Mission, and Kingdom: A Comparison of Herman and Johan Herman Bavinck,” Calvin Theological Journal 45, no. 1 (2010): 117–32. The respondent is the Rev. Dr. Allan Janssen. Starting at ~66:00, Janssen provides an intriguing foray into the recently published lectures of A. A. van Ruler on natural and revealed theology as an additional point of comparison between H. and J. H. Bavinck. Paul J. Visser, Heart for the Gospel, Heart for the World: The Life and Thought of a Reformed Pioneer Missiologist, Johan Herman Bavinck, 1895-1964 (Eugene, OR: Wipf and Stock, 2003). Paul J. Visser, “Reformed Principles as Remaining Roots,” in Shirley J. Roels, ed., Reformed Mission in an Age of World Christianity: Ideas for the 21st Century, 37–44 (Grand Rapids, MI: Calvin Press, 2011). Paul J. Visser, “Religion in Biblical and Reformed Perspective,” Calvin Theological Journal 44, no. 1 (2009): 9–36. The Bavinck Review 4 (2013) is now publicly available. Download (or send to Kindle) your free copy today! The Bavinck Review 4 (2013) is now available to Bavinck Society members. Preview the contents and editorial. and another voice in the discussion between Drs. VanDrunen and Klosterman regarding Herman Bavinck’s view of natural law and the two kingdoms. 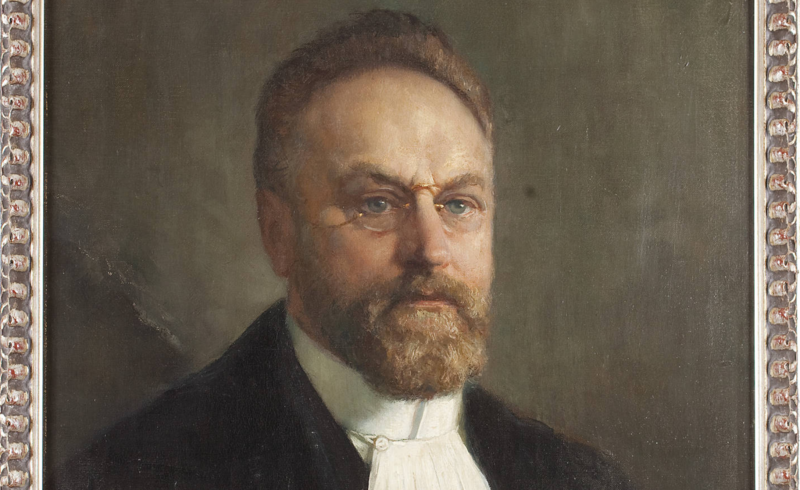 The translation piece is a handful of letters that Herman Bavinck sent to one of his seminary students who was forced to leave his studies at Kampen due to a terminal illness. The Bavinck Institute is pleased to announce the publication of John Bolt, James D. Bratt, and Paul J. Visser, eds., The J. H. Bavinck Reader, trans. James A. De Jong (Grand Rapids, MI: Eerdmans, 2013). The Reader makes ”some of the Dutch missiologist’s seminal works in revelation and religion, religious consciousness, and the engagement of the Christian gospel with other religious traditions available in convenient form for an English audience” (Editors’ Preface, ix). Preview the book via Google Books. View the multimedia recording of this book launch (skip slides 1 and 2 and go directly to 3). The order of speakers on the recording is John Bolt, James Bratt, James De Jong, Diane Obenchain, and John Bolt. Audio recordings of lectures from the 12–14 October 2011 international Bavinck conference, “After 9/11/11 . . . What? Reformed Theology and the Church’s Global Mission Today,” are now available on our web site. Copyright © 2009–2019 The Bavinck Institute at Calvin Seminary. All rights reserved.